Zafigo is constantly on the lookout for new writers! We’d love to hear from you! How can I contribute or write for Zafigo? Simple. Just write to us at [email protected] and say hi. Tell us a bit about yourself, let us know what you have written before, share with us your writing samples, and tell us what you would like to write about – We’ll take it from there. If you are commissioned by us, definitely! For contributors writing for us for the first time, if the article is selected to be published, we offer a token starter fee. If you are a writer who would like to write for us on a regular or freelance basis, please get in touch with us at [email protected] and we will share with you how you can. If you are not commissioned by us, but we like what you wrote and it fits into the overall objective of Zafigo (that is, to make travels in Asia and the Middle East better, easier, safer and more enjoyable for women, both for work and for leisure), we will also pay you a token fee upon publishing. Because it’s only fair, and we would like to encourage you to share and write more, for Zafigo and for anyone else. I’m not a writer. I haven’t written for anyone except for myself, I haven’t been published before but I like what Zafigo is doing and would love to share my experiences and thoughts with Zafigo and the readers. Can I? If you’d like to dabble in writing, we have a reader submission section called Travel Tales where we want to hear about your most interesting stories, from memorable adventures to heartwarming encounters, scrumptious local food to surreal experiences, and everything in between. These submissions can be in any form and length – short stories, listicle/top tips, and even diary entries. See published examples here. If writing is not so much your thing, we have another reader submission section called Snapshots. Snapshots is our photo essay section, where we ask readers to share a curation of their favourite images (six or more) to tell the story of their city or a destination they have travelled to. See published examples here. Zafigo is read by women travellers the world over, so your stories will be shared to all corners of the globe. All published entries will receive a token sum. What kind of articles can I contribute? 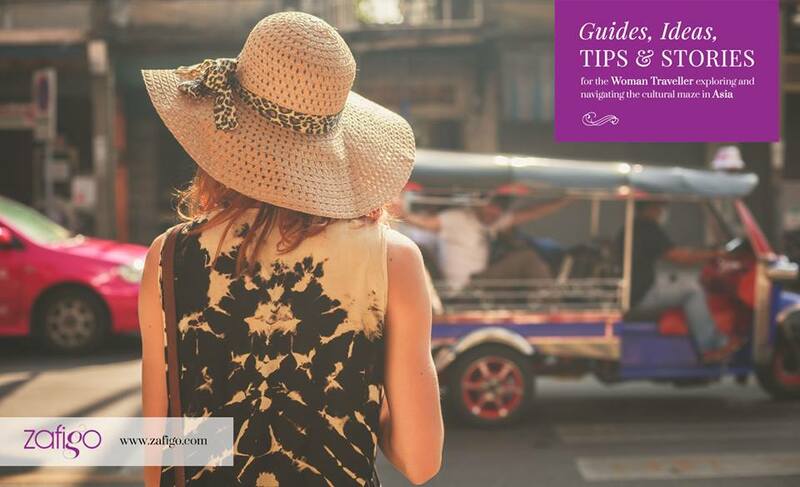 You can choose to either write about a country/city you’ve recently visited or share tips and lessons you’ve learnt on your travels. How can I go about sharing tips with other women travellers on Zafigo? There are a few ways – you can email us, leave comments on our articles, on our Facebook page or tweet us at @zafigoasia. Please do! Zafigo is a travel guide for women, by women after all, and we believe empowering more women to travel with better knowledge through tips and advice from other women who have been there, done that, can make the world a much better place. I have some free time on my hands and would like to contribute to Zafigo on a more permanent basis and work closely with the Zteam. Does Zafigo have an internship opportunities? Yes, we do. For more details on this, go here. I would like to contribute a sponsored article with SEO linkbacks. Does Zafigo accept such articles? We do accept sponsored guest articles if we feel the content is suitable for our platform. As Zafigo is a travel website dedicated to women travellers travelling to and around Asia, the content you provide would need to be suitable for this demographic. That being said, we do occasionally publish content on destinations outside of the Asian region as well. See published examples here. However we do not pay for such branded content and other terms and conditions apply. Send your sponsored article pitches to [email protected].